We all know Valentines Day for its celebration of love, but history reveals its grisly origins. Tracing back the origins of Valentine's Day has flummoxed historians and scholars alike. Between rumours of a decapitated priest, jailed bishop and illegal weddings, the mystery of St Valentine is unsolved. Yet, the internet is a smorgasbord for Valentine's Day theories, including references to English poets and pagan rituals. 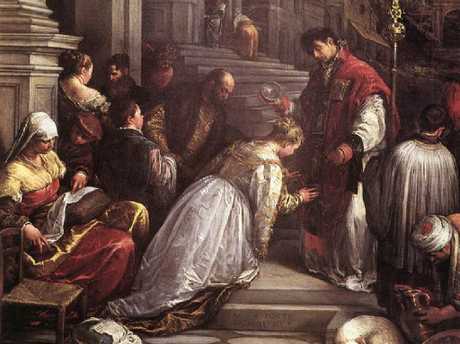 Legend has it that St Valentine was a Roman priest who performed weddings in secret, refuting the orders of authorities. After Emperor Claudius declared single men were more proficient soldiers, marriage for young men was outlawed. Valentine defied orders, arranging to wed lovers in secret. Once Claudius discovered the forbidden matrimony, Valentine was sentenced to death by decapitation. While a popularly believed tale, this isn't the only myth to exist. Some suggest Valentine was beheaded for helping Christians escape from Roman prisons. In this version, the romantic legend was believed to have fallen in love with a jailer's daughter. Before his death, Valentine allegedly wrote a letter for his lover signed 'From your Valentine'. Then there's St Valentine, the Bishop of Terni, who also went down in history as a martyr and is credited with secret weddings before an untimely beheading on February 14. Legend claims St Valentine performed weddings in secret before being sentenced to death. Written accounts of St Valentine date back to 500AD, yet scholars studying Valentine's Day origins are unable to verify the tales' validity. 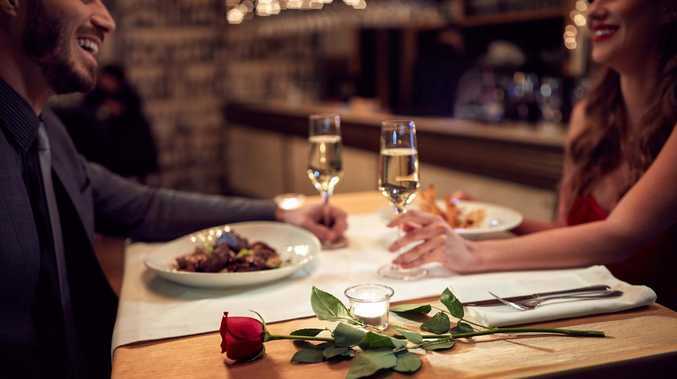 Academics believe the first instance of Valentine's Day occurred in the 14th century thanks to English poet Geoffrey Chaucer. 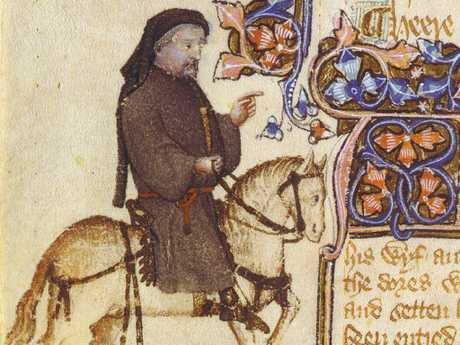 By the 1400s, "valentines" became a favoured trope adopted by nobles inspired by Chaucer. "It just drives me crazy that the Roman story keeps circulating and circulating," Forbes says. "The bottom line for me is until Chaucer we have no evidence of people doing something special and romantic on February 14." However, Valentine's Day also shares ties to Lupercalia, an ancient Roman festival held on February 15. Scholars believe Geoffrey Chaucer was the mastermind behind Valentine’s Day. (AP Photo/Huntington Library). While Valentine's Day is a holiday for the romantics, Lupercalia was traditionally a bloody festival filled with violence and animal sacrifices in attempts to ward off evil spirits and infertility. Legend also claims women would place their names in an urn for the city's bachelors to choose from. Often, the matches would result in matrimony. By the end of the 5th century, Lupercalia was outlawed for being "un-Christian". Instead, Pope Gelasius dedicated the day before, February 14, to St Valentine - a day that years later would be associated with love and romance. Intentionally or not, 21st century Valentine's Day shares some of Lupercalia's symbols; the crimson for bloodshed now represents passion and romance. Whether stemming from a hopeless romantic Roman priest or bloodthirsty pagan ritual, Valentine's Day is celebrated by millions around the globe dedicated to love.